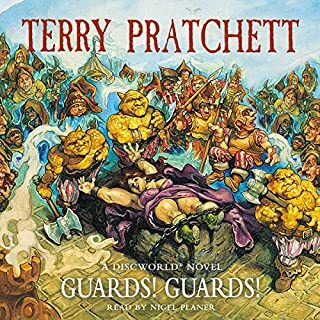 The Guards books from the Discworld series are my high favourites, with witty and fast moving plots. The characters, and especially Nigel Planers brilliant verbalisation for each and every voice, are just absolutely fantastic. 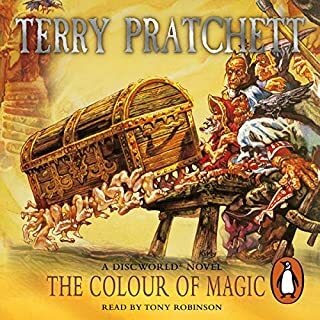 Having read a few of the books also, I find the Audio versions, narrated by Nigel Planer at least, are soo much more enjoyable. Two thumbs up for the combo Pratchett - Planer ! 13 challenges you could live quite happily without in blissful ignorance, but without doubt an interesting read for an inquisitive mind. 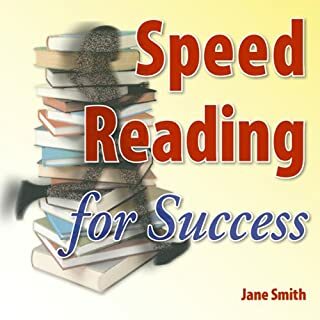 This is a book with a bit of background, and then instructions how to speed read with plenty of excersizes to do. 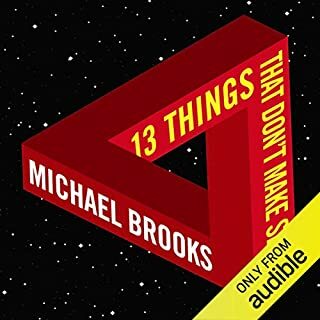 The book itself is actually quite good, it just simply doesn't work well in audio. Go get a hardcopy instead! 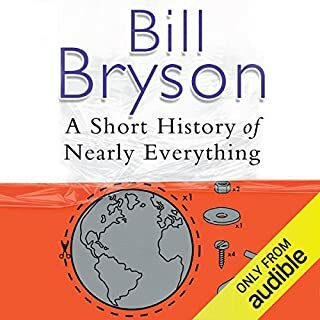 This is one of those books I probably would never have read in paper, but I am so glad I got the audio version to 'whittle away' my training hours in the gym or running. 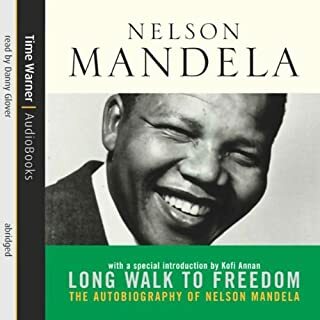 It tells the story of Nelson Mandela the man, his background, and why he did what he did. A must-listen for anybody wanting to understand the person behind the inspiration. 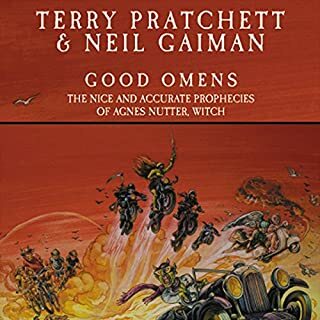 According to The Nice and Accurate Prophecies of Agnes Nutter, Witch - the world's only totally reliable guide to the future - the world will end on a Saturday. Next Saturday, in fact. Just after tea...The armies of Good and Evil are amassing, the Four Bikers of the apocalypse are revving up, and everything appears to be going according to Divine Plan. Except that a somewhat fussy angel and a fast-living demon are not particularly looking forward to the coming rapture. Pratchett does Apocolypse . . . This is a Terry Pratchett spin on the Apocolypse... in other words: hilarious !!! Off the wall funny ! Nigel Planer's narrative is perfect, as he flicks seamlessly through accents and voices for each of the wacky characters. 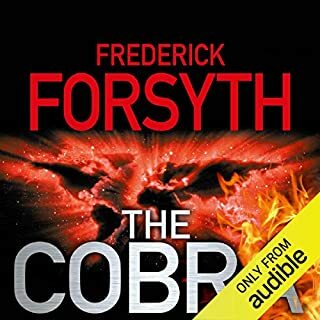 If you liked Forsyth before, you'll like this one. A 'could well be possible' and capturing story. If you're the type that loves to read encyclopedias stuffed with facts then get this book. For my liking this one is way overstuffed with useless anecdotes on the characters involved. After several chapters I had totally lost the plot where in time he actually was... and still haven't finished it... Probably never will. Sleep is the most wonderful, precious, healing processes. "When was the last time you had a great night's sleep?" 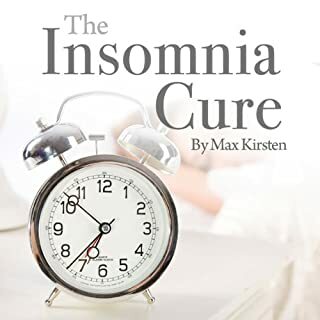 Discover The Ultimate Hypnotic Sleep Download for people with insomnia and sleep difficulties from top Harley Street London Sleep Clinic Specialist Max Kirsten. double up of "ABC to better sleep"
Buy either 'ABC to better sleep' or this one. Either one of them is good (although IMHO 'ABC' has a better 'get to sleep' section). Don't waste your credits getting both. This is not dry lecture stuff. 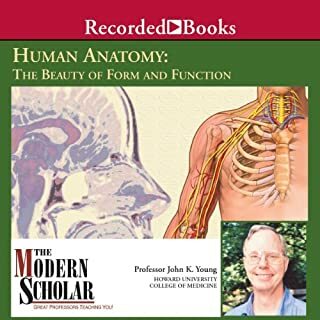 Prof Young explains anatomy and does so at a scholar level for those relatively new to anatomy, but what makes it both fun to listen to and easy to remember is his intertwining of development and alternative anecdotes (e.g. did you know snakes 'pop out' their larynx so they can breath whilst slowly swallowing their prey? ).